I received a complimentary Toddler Book Pack from DK Publishing for the purposes of review. All opinions are mine. Reading to your baby/toddler is very important. Hearing your voice and saying different words is how they learn to talk. It is also very beneficial for them socially. And what you read to your little one is very important as well. DK is a best-selling and award-winning children’s publisher with a crop of titles for babies and toddlers. 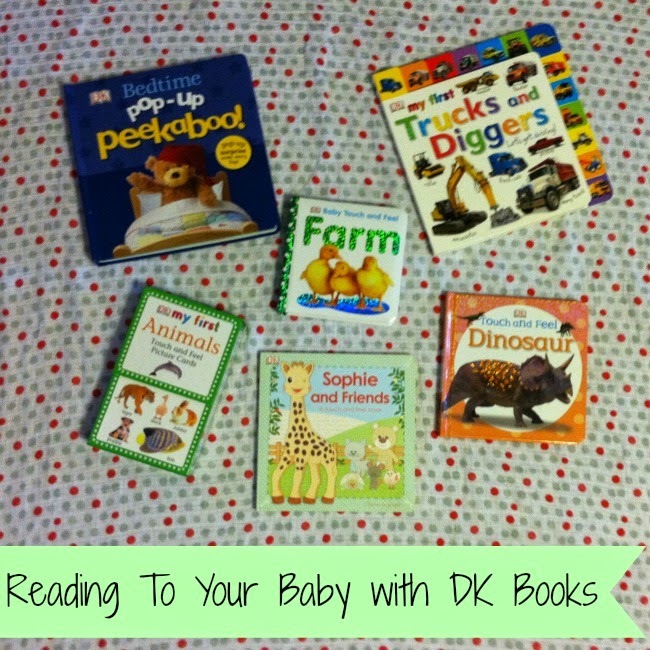 DK books for early learners are perfect for children ages 0 to 3 and help provide a fun, hands-on playtime experience for babies and toddlers. DK books contain bright pictures, easy-to-read text, novelty features and more to excite and engage little ones. 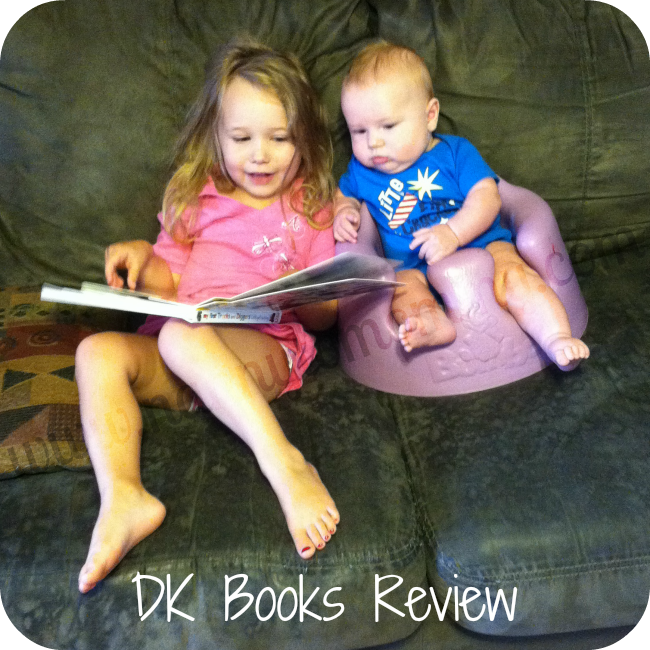 So when I received the opportunity to review a few titles from DK Publishing, I was very excited to share them with my 5 month old and 3 year old. - Pop-Up Peekaboo: Bedtime * Exciting Pop-Up Peekaboo books promote parent and child interaction, memory and imagination, while hands-on play makes learning fun. A nightly favorite! And the pop-up part has so much detail that I would have to say this is my favorite. - Baby Touch & Feel: Farm * touch and Feel books capture the attention of the very youngest children and create an experience they’ll want to repeat. Simple, colorful images and large font labels encourage recognition skills, while padded covers with rounded corners make these books safe for baby. - My First Trucks and Diggers * My First Tabbed Board Books will keep toddlers interested and enthusiastic about reading with 13 easy-grip picture tabs to help little fingers turn to fun-filled, colorful pages with imaginative photographic designs. I'm excited for this one with my son as he gets a little older, but my daughter is loving it now too! - My First Touch and Feel Picture Cards: Animals * My First Touch and Feel Picture Cards each include 16 colorful picture cards with bright photographs and textures to help toddlers develop early language skills. The included parent guide provides creative learning games to play with children. These are a HUGE fave as well! My daughter loves exploring each animal, but I love that the back has tips on ways for the parent to help your child get involved in learning about each animal. 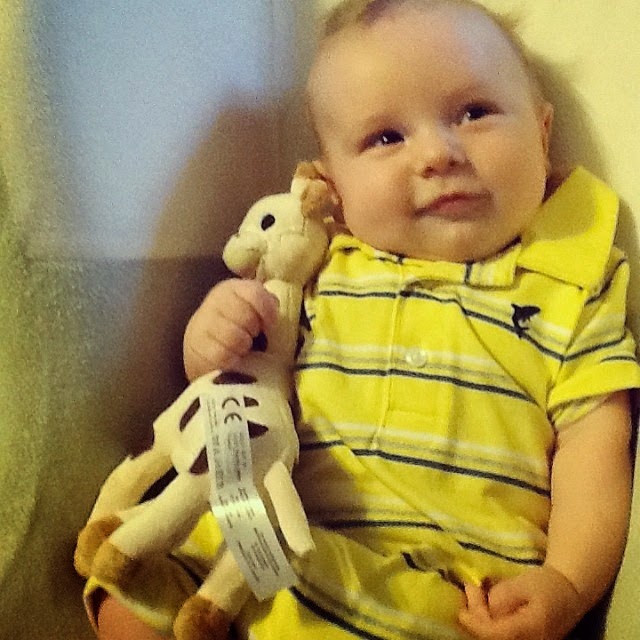 - Touch and Feel: Sophie la girafe®: Sophie and Friends * Sophie la girafe® has been a favorite brand among moms all over the world since the high-end rubber baby teether debuted in France in 1961, it has been a favorite of mine with both of my kiddos. In this Touch and Feel book, babies can touch soft, shiny and bumpy textures while meeting Sophie and her friends. - Touch and Feel: Dinosaur * Touch and Feel books encourage preschool learning through exploration of various topics such as animals, numbers and letters, and feature novelty textures and colorful images that promote hand-on playtime. This one is a FAVORITE of my daughter. She loves to feel the different dinosaurs, but there is a very special and sticky part that she loves the most! Did you read to your baby? What were some of your favorite titles? What do you think of these books from DK Publishing? I received a complimentary Toddler Book Pack from DK Publishing for the purposes of review. All opinions are 100% my own. I love that there are so many photos!